Age: He can't decide. He's an old man. History: The Doctor lived on Gallifrey until he was exiled during his during his third incarnation. (taken from wiki, I don't know what happened really.) Even when he was able to go back to Gallifrey, he spent more time on Earth than back on his home planet. He showed a certain fondness for Earth and for humans. During his eighth incarnation, the Time War on Gallifrey had begun, and the Doctor went to help out with the war. The war was lost and the Doctor believed himself to be the last of the Time Lords. Personality: The Doctor is a non-violent conflict resolution believer and will always try to be diplomatic before resorting to force. 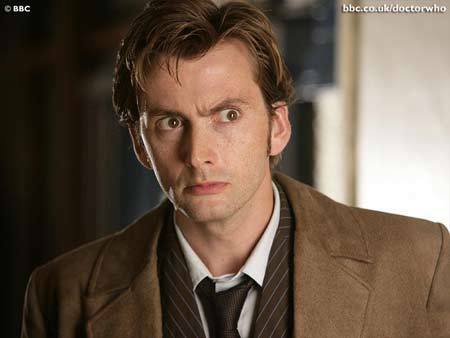 He becomes easily upset when others mention the Time War and his involvement in it. Other than that, he's generally playful and kind. 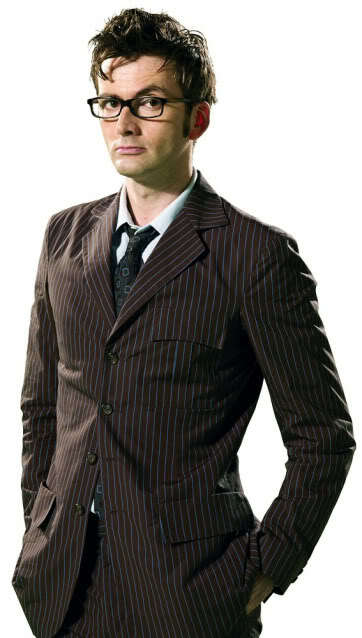 The Tenth Doctor in particular likes to quote pop culture and listens to rock and punk music in the TARDIS. Because he's been traveling for a while and gets lonely, he looks out for anyone whom he can take in as a companion on his adventures. He looks after the companions as if they were family, since they practically are to him. He has a hard time with romantic relationships, though he always seems to fall in love with at least one of his companions. Skills: The Doctor has certain mental skills (that I don't know that well yet and will update later). He supposedly speaks five billion languages, including a language called Delphon (which is only 'spoken' with eyebrow movements), 'baby', 'cat' and 'horse'. He can also time travel obviously with the TARDIS but we all knew that. He uses his sense of smell to detect other time lords. He also can lick an object and determine what it was made of. His sonic screwdriver is useless against wood.